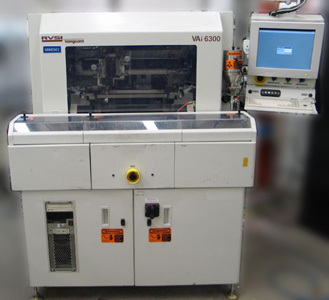 High Volume Automated Machinery | Reballing Technique - BEST Inc.
BEST has the capability to cost effectively provide high volume reballing services, generally when the requirement is several thousand parts of a given type at a given time. BEST's Vanguard automated ball attach machinery is used to repeatably attach the solder balls using a tool set which can repeatably and accurately place solder balls onto a part with a controlled volume of flux on each of the pads. After reflow the devices are subject to a controlled batch reflow process followed by a cleaning process which relies on reaching a specified ionic cleanliness level prior to completion. For high volume production BEST offers the availability of tape and reeling services and 100% optical inspection for coplanarity, pitch and ball diameter post collapse.